As an Ayurvedic Practitioner and Massage Therapist, I assist clients in returning to their true nature through Ayurvedic Consultations and nurturing & rejuvenating bodywork. I have chosen to work in the field of Ayurveda for the purpose of bringing healing and awareness to people’s lives so that they can realize their unique life path and contribute their gifts to the world we live in. It is my intention to encourage integration of all health care systems and wisdom traditions for the benefit of all. 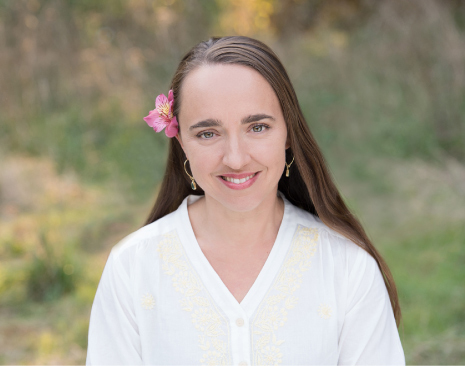 I am a graduate of The Ayurvedic Institute in New Mexico, where I studied under Dr. Vasant Lad, and have traveled extensively throughout India, studying with renowned Ayurvedic doctors and scholars. I am also a graduate of The Brenneke School of Massage in Seattle. I have been practicing Ayurveda since 1999 and massage since 2001. My other great joy in life is caring for my daughter, Amulya. She continues to teach me about unconditional love, playfulness, patience and being fully present. What a gift! I offer these FAQs to help you orient yourself to our work together. If you are new to Ayurveda and want to see if we are a good fit, please feel free to call, and we can talk directly. Ayurveda provides time-tested tools and remedies to restore optimal health and balance within each individual, based on their unique body-mind type. When our personal balance is restored, we experience more energy, better digestion, improved sleep, stronger immunity and self-empowerment. What should I expect from an Ayurvedic Consultation? Before our appointment, I will ask you to fill out a detailed intake form that you will return to me before or at your first visit. When we meet, I will take a detailed health history, check your pulse, examine your tongue, eyes, nails, and skin, and listen to the tone of your voice. I will ask questions about your lifestyle and health habits. I will then recommend ways you may restore your natural constitutional balance and replenish your energy. What exactly do your recommendations consist of? This depends on your health situation and your needs but usually I offer lifestyle recommendations including diet/nutrition, herbal therapies, and habits of rest, exercise, and relaxation. I may also recommend you to receive massage, shirodhara or potentially to participate in Panchakarma detoxification therapy. How much does an Ayurvedic Consultation cost? Is it just the one time or should I expect to come in more than once? Our initial Ayurvedic Consultation takes approximately 1 1/2 hours and costs $225.00. This cost includes your first follow-up consultation as well.